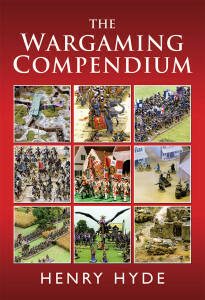 Hi, I’m Henry Hyde, author of The Wargaming Compendium. The book was published on 17th July 2013 and is now being distributed to booksellers and wholesalers worldwide. From 1st August I am adding free ‘extras’ to accompany the book and the rulesets it contains, such as handly playsheets and even PDF buildings and other terrain items for you to download, print out and use in your games. In addition, there is some information in the book that, inevitably, becomes out of date almost as soon as it is published, such as lists of manufacturers and wargames shows. This website will enable me to update this information periodically so that the lists remain relevant long into the future. Please bookmark this site and, in the meantime, you can follow me in my role as Editor of Miniature Wargames with Battlegames on Facebook, Twitter and on my own wargaming blog. Amazon now has the "Look Inside" feature for The Wargaming Compendium. 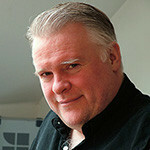 Note that this shows the Kindle version – the print version is even prettier!